The text reflects a growing awareness of the impact of early life adversity on the developing human being in the NICU. Substantiated by the converging multidisciplinary research on the science of human development, the provision of trauma-informed care in the NICU reduces the strain on the hospitalized infant and family. 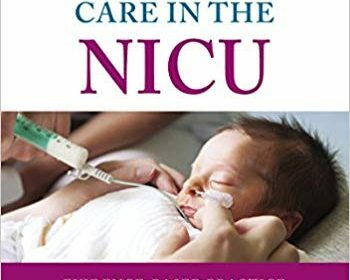 With endorsements by respected transdisciplinary neonatal clinicians, this text provides guidelines that encompass the five core measures for age-appropriate care, including the healing environment, pain and stress, protected sleep, activities for daily living, and family collaborative care. The book also features downloadable sample competencies, algorithms, and parent teaching guides, along with additional e-learning modules for continuing nursing education. A self-assessment checklist, allowing the rating of current practice related to the core measures for age-appropriate care, adds to the book’s utility.